When you’re looking for a good personal injury lawyer, you want one who has your best interests in mind. There are plenty of Fresno injury lawyers who will move right to negotiating a settlement to get both you and them paid quickly, but what if a settlement is not in your best interest? David Milligan believes in fighting for every penny his clients deserve, and he is a bodily injury attorney who is not afraid to take insurance companies to court. It’s not unusual for a Fresno personal injury lawyer to decide that the best way to run a case is to go immediately for the settlement. While this can shave some time off of the process, it can also deny the client money that is rightfully theirs. David is not interested in what is easy. He is a personal injury lawyer who is interested in what is best for his clients. When negotiations do not go the way he feels they should go, he’s not afraid to take the insurance company to court. He puts in the extra work to make sure that his clients always get as much compensation as possible to help them recover from their injuries and get their lives back on track. David’s approach comes with a great deal of risk for himself. David does not get paid if his clients do not get paid, which makes bypassing an easy settlement risky, but when you hire the best personal injury lawyer, you expect the best results. That means that you want a P.I. lawyer who will look at a case from your perspective and be by your side throughout the entire process. When a personal injury case goes to court, it can add months to the process. But, once again, David carries that burden right along with his clients. If it takes a few extra months to get the larger award the client deserves, David will wait right along with his client for the case to come to a conclusion. Emotions often play a big role in how a client views their personal injury case. David takes the time to put everything in perspective and help the client see the benefits of being diligent, as opposed to going for a quick settlement. There is a lot on the line when it comes to a personal injury settlement, and David knows what it takes to get the best possible award. 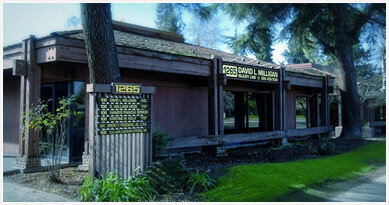 David is also a licensed pilot who uses his location in central California to his clients’ advantage. No matter where you are in California, he can take your case and offer same-day service through the use of his own personal aircraft, providing service unlike any other Fresno personal injury attorney. It can be tempting to go for a quick settlement in a personal injury case because that means that you will get your money fast, but what if that fast settlement doesn’t offer the compensation you need to properly recover from your injuries and get your life back together? Instead of taking chances with your future, call on David Milligan. 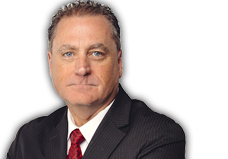 He is an experienced and caring personal injury attorney who works hard for his clients. David takes the same risks his clients take, and he is ready to take a case as far as it needs to go to get the best possible award.